Comprised of districts in Wisconsin, Indiana, Illinois, UP Michigan, & Missouri, Women Ministries of the Central Conference offers leadership training, spiritual nurture and connection among women. 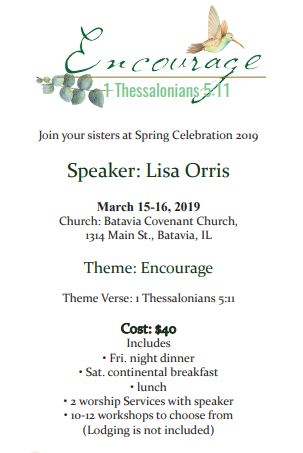 Join your sisters in Christ at the Women Ministries of the Central Conference Spring Celebration in March. Information and registration information can be downloaded below. Download registration information on this event.